"A joy to read, as well as a constant reference library. Thoroughly inspiring." — WorkbenchThe republication of this highly valuable text by Edouard Lanteri, a renowned teacher, sculptor, and intimate friend of Rodin (Rodin called him "my dear master, my dear friend"), makes it possible for serious students to gain the requisite skills needed for figurative sculpture and to bridge the gap between artistic concept and figurative realization.Modelling and Sculpting Animals, together with its companion piece Modelling and Sculpting the Human Figure, is the classic treatise on the techniques of figurative sculpture. Representing at least three thousand years of studio lore, this readily understandable, authoritative guide is a goldmine of technical information, easily comprising a four-year sculpture curriculum unavailable elsewhere.In this reasonably priced volume, devoted almost entirely to the modelling of animals, Lanteri offers thorough step-by-step instruction for the figurative sculptor. 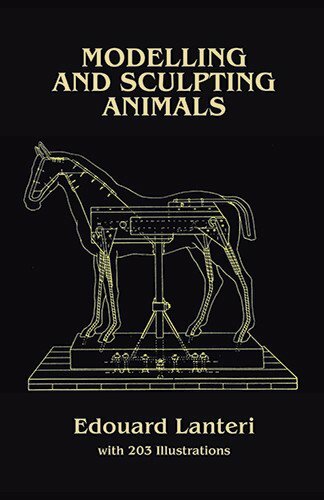 Beginning with a description of the historical symbolism of animals in different cultures, the author then proceeds to give meticulous anatomy for the horse, lion, and bull. 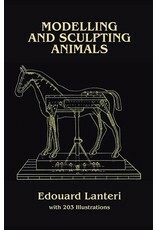 Rules of motion, measurements of construction, erecting the framework, tools, materials, and other pertinent aspects of animal sculpture are covered in detail. The final section presents a comprehensive exposition of the methods of casting in plaster, including how to mix the plaster, applying successive layers and irons, opening the mold, soaping and oiling, chipping off the mold, and special precautions. A profusion of illustrations — over 200 photographs, drawings, and diagrams — clearly demonstrate every principle and method the author describes. 64 full-page photographic plates, 139 drawings and diagrams.Reprint of Modelling: A Guide for Teachers and Students, Vol. III, Chapman & Hall, Ltd., 1911.